Welcome to the 292-BABY Community! 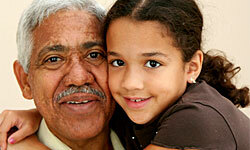 In Monroe County there are approximately 3,000 grandparents taking care of thousands of children. As grandparents, these caregivers have experience and many special talents. They also have many challenges and our goal is to support and connect them with the many resources that this community has to offer. 292-BABY – (292-2229) Call this free telephone service to talk live with a Registered Nurse about any NON-EMERGENCY child-related issue from 7:00 AM to midnight every day. Television – “Parent Talk” a locally produced parent information television show is broadcast Sunday through Friday over Time Warner Cable Channel 4 reaching 210,000 homes in Monroe County. Click HERE to see our weekly schedule of 33 hours of broadcast and their focus. Educational Videos – on this website access 80+ videos on dozens of issues in early childhood. Go to the “Home Page” and use the pulldown menu at the top. Join 292-BABY on Facebook connect with others who also have young children.